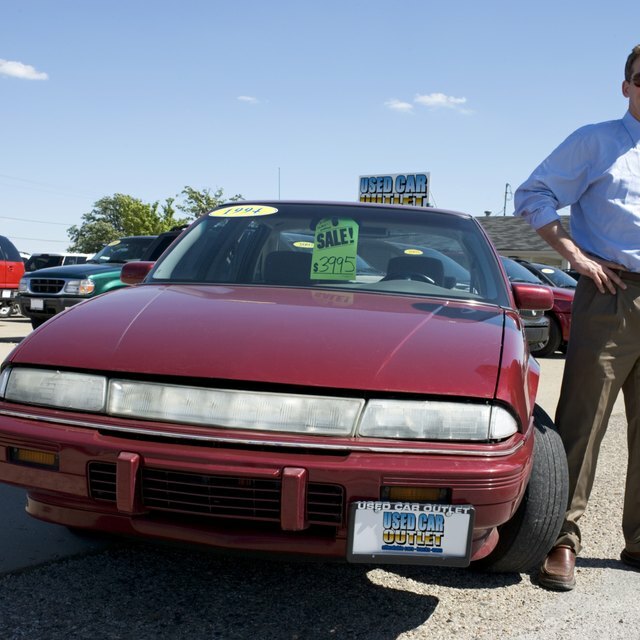 Are There Grants to Help Low-Income People Purchase Cars In Missouri? People donate used cars to nonprofit organizations in return for a tax write-off. Some nonprofit organizations turn around and sell those cars to help raise money for specific program needs. Other organizations, however, give those cars away to people who are in need. When you know where to look to get a free donated car, half your journey is already complete. The first step in getting a free donated car is to identify the organizations that give cars to people in need. You can contact local charities in your neighborhood to see if they are aware of any programs or conduct a quick Internet search. A few organizations that are known for providing donated cars include Free Charity Cars, Goodwill, Online Car Donation and 1-800-Charity Cars. Each program has different requirements that applicants must meet in order to be approved for a donated car. Review each charity's requirements to determine which programs you best fit so you don't waste your time applying for a car with an organization that is only accepting certain individuals. For example, some charities prefer to gift to military veterans or those needing transportation for continuous medical treatment. Free Charity Cars only requires you to set up a profile page and explain why you are in need of a car. Cars are donated based on the amount of votes generated from your profile. Online Car Donation give cars to women survivors of abuse, military families, homeless families, the physically challenged and families who are transitioning off public assistance. Domestic violence and homeless shelters are also known to give donated cars to people who are in need. Take the time to complete all paperwork the organization requires, being careful to fill out every section. Incomplete applications may be ignored. Generally, the application is used to get the donation process started. The application will ask questions about your household size, income, assets and resources. This is in addition to your explanation of need. Provide all of the required documentation to the charitable organization such as a valid driver's license, proof of insurance, proof of income or proof that you lack income. If you receive government assistance as a result of your low income, provide proof of the government assistance. Individuals with medical needs can gather reports from their doctors and submit them with their application. Any document that proves what you listed in the application should be attached upon submission. After you've turned over your application, you'll have to wait to receive a donated car. You may receive the car right away, or you may be placed on a waiting list; it depends on the organization. 1-800-Charity Cars: Who Can Apply for a Charity Car?